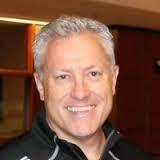 Profile Response: Rick Redman, Louisville Slugger, Louisville, KY | How Will We Live Tomorrow? Back in the day, the 1880’s, the Louisville Eclipse were a major league baseball team with a powerful hitter: Pete Browning, aka the Louisville Slugger. Browning’s .341 batting average stands as the 12th highest in baseball history. Fortunately, Pete had an off day, going 0 for 3 on an afternoon when a seventeen-year-old boy ducked out of his family’s woodworking shop to watch him play. After the game, Bud Hillerich invited Pete to his family’s shop where the two worked together to shape Pete’s ideal bat. Next day, Pete went 3 for 3. Other players, who often turned their own bats, wanted a Hillerich bat and the Louisville Slugger was born. 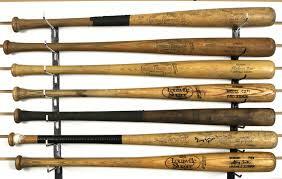 The first mass produced baseball bat is now the most famous sports product in the world. Like all great American success stories, the Louisville Slugger marries a great product with great marketing. In 1905 the company invented a concept that’s ubiquitous today: they signed Honus Wagner to endorse their product. Other players followed, including Babe Ruth in 1918. Today, more than half of all MLB players use Louisville Slugger bats, which the company produces to their unique specifications. Rick Redman, a former Louisville sportscaster who left TV for a job that enables him more family time, has been Louisville Slugger’s spokesman for thirteen years. He explained how the material Louisville Slugger uses has changed over time. “Early bats were shaped in hickory or walnut. By the 1930’s, the standard became white ash harvested from forests in New York and Pennsylvania where the growing season is short and growth rings tight. A dozen years ago Barry Bo nds changed to maple, which is a harder wood.” About that time a beetle infestation began to kill off the ash forests; that material will become scarce. Today, players use both ash and maple, and about 5% use birch, which is stringer than ash and less brittle than maple. Louisville Slugger also makes lighter aluminum and composite bats for younger players that have bigger sweet spots and less sting. However, “wood bats are the heart of the brand.” Louisville Slugger remains the world’s largest manufacturer of wooden bats by a wide margin: 1.8 million per year. “In the terms of baseball bats and Louisville Slugger, we are going to see an increase in birch and maple. We may see the end of ash. We will see changes in the game to make it faster paced. We’ve already seen the pitch clock and instant replay. Teams are all looking for ways to keep fans more interested. MLB has initiated the ‘Play Ball’ program to encourage activity and learning baseball. This entry was posted in Responses and tagged Louisville Slugger, Rick Redman. Bookmark the permalink.